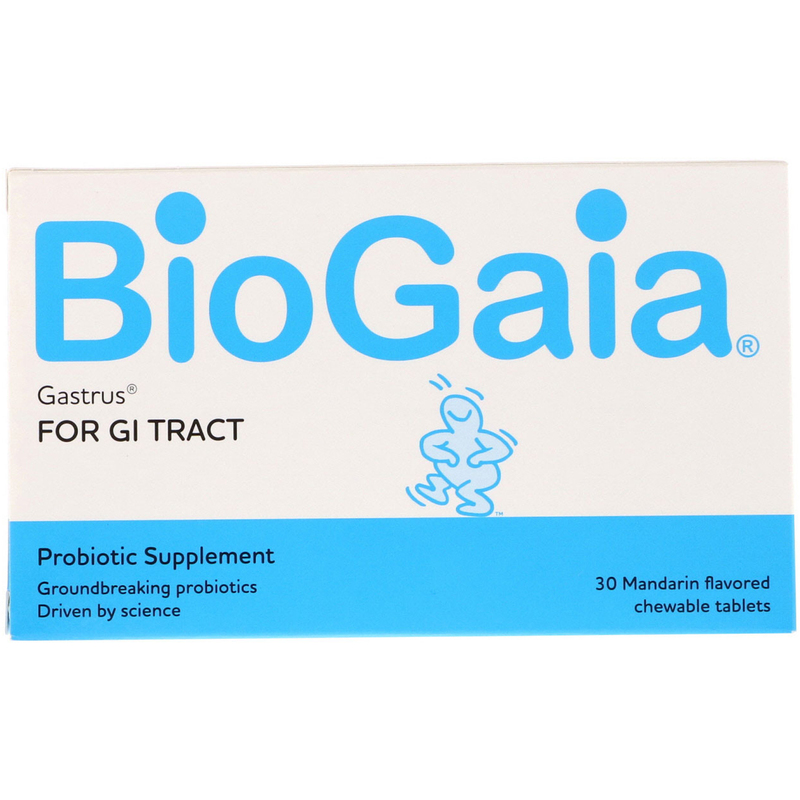 BioGaia Gastrus is a dietary supplement containing the patented lactic acid bacterium Lactobacillus reuteri Gastrus (L.reuteri DSM 17938 and L. reuteri ATCC 6475). Because both strains in L. reuteri Gastrus naturally colonize humans they have a strong adaptation to persist and interact with humans. 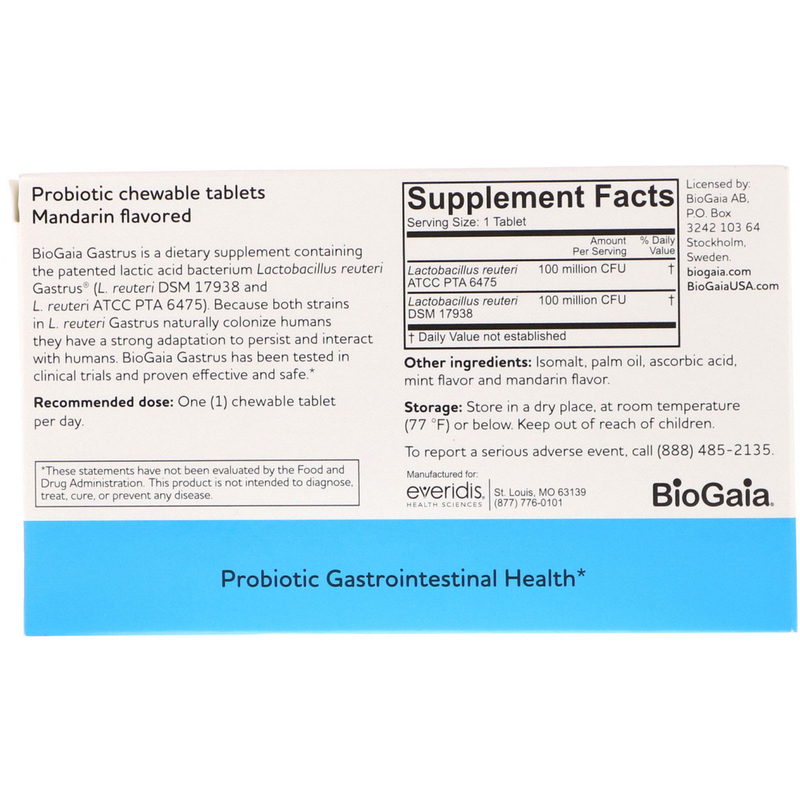 BioGaia Gastrus has been tested in clinical trials are proven effective and safe. Recommended dose: One (1) chewable tablet per day. Isomalt, palm oil, ascorbic acid, mint flavor and mandarin flavor. Storage: Store in a dry place, at room temperature (77°F) or below. Keep out of reach of children.